Walker's people have been using the DMV as their blunt, ballot-busting cudgel from the earliest days of their corrupt, power-grabbing State Capitol occupation. And while big-city DOT/DMV offices are open during most business days, offices elsewhere are open only a few hours or days a month. Tuesday: Special Rules - 3rd Tuesday of the month 9:00 a.m. to 3:30 p.m.
Not to mention Wisconsin Attorney General Brad Schimel's long history supporting voter suppression. He would not be a neutral investigator, given his ties to Walker. I wish the US Justice Department and its agents had been assigned the task. We need federal supervision of the November election. Why do you think big dark money intended when it made sure Walker and his allies were re-elected? Turning purple Wisconsin red and scooping up its swing state electoral votes. 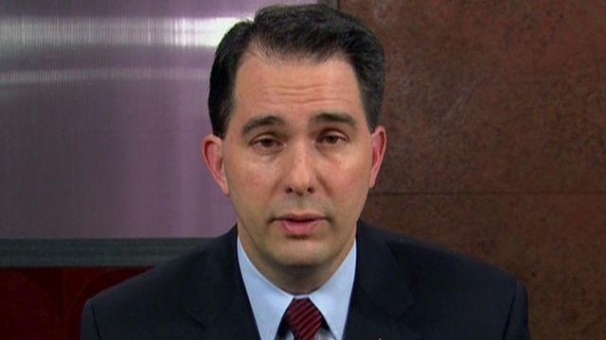 Scott Walker wants this unstable and unethical head case to have US nuclear codes at the ready. Trump is Walker's guy. Pass on the reminder. How wonderful for the nation that the current campaign has surfaced three - - count 'em - - three male marriage experts where now we have only Dr. Phil - - Donald Trump, Newt Gingrich and Rudy Giuliani and if numerology is your thing - - keep counting because each of The Big Three has had three marriages and multiple relationships' interrupti. I see a post-campaign reality TV opportunity for the trio: "Three Two-Timers at Once." Thursday: Special Rules - 1st and 3rd Thursday of the month 8:15 a.m. to 4:15 p.m.
Tom Kertscher ‏@KertscherNews 21h21 hours ago21 hours agoI didn’t walk through the entire crowd at Donald Trump Waukesha rally, but it’s worth noting that I didn’t see any African-Americans. - - but only moves those four staffers from other jobs while agency-wide downsizing and laissez-faire management continues. The proposed budget continues the annual permit fee charged to these behemoth operations with thousands of animals producing tons of manure that jeopardize nearby wells, streams and lakes at $345 - - of which the DNR retains a mere $95 - - sort of like charging a giant semi-tractor trailer a dime for an annual license plate renewal and labeling it a fair contribution to State Patrol operations and road maintenance. The proposed budget could lead to wasting millions of dollars the agency cannot to sacrifice by studying the leasing or building a new forestry management headquarters out of too-blue Madison where it is logically placed near other state management operations to Walker-friendly northern Wisconsin. The partisan politics of the move are embarrassingly obvious and give the lie, again, to Walker's alleged small-government preferences. - - "a senator for regular folks who deserve economic security." Unlike Johnson, who voted to "fast-track" the Trans-Pacific Partnership, Feingold is unequivocally opposed to this unfair trade agreement. Why? The Washington Post Fact Checker said: "The math says trade pact's job creation is zero...." And, Feingold exclaimed: "Senator Johnson has spent five years in Washington, supporting corporations that have sent jobs overseas, particularly by supporting tax loopholes, voting for every bad trade deal that has come along." Feingold would be a senator for regular folks who deserve economic security. travelin' Milwaukee Sheriff David Clarke, former US Senator-turned-arms-dealer Bob Kasten, Jr, and former WI Governor and US Senate-candidate-beaten-by-Tammy Baldwin-Tommy Thompson. Maybe Walker punted from the Trump event in Waukesha after today's post-debate poll that showed H. Clinton cleaned Trump's clock 52-21%. Dan Bice delivers the bad news. Just confirmed that Gov. Scott Walker won't be appearing at GOP presidential nominee Donald Trump's rally in Waukesha tonight. Dark money expert welcomes foundation funding diverter. The common thread: withhold the records. Your modern GOP. Film at 10. Will Milwaukee Sheriff Clarke address his responsibilities here? Sure, he's busy picking up speaking fees and free guns and reflected glory from right-wing muckety-mucks here and there, but will Milwaukee County Sheriff David Clarke take off from his goody-bag tour and take responsibility for the death by thirsting of a mentally ill inmate in the Milwaukee County jail? She was dubbed "The Queen of Mean." I guess the GOP's gold-plated tax evader is the King of Bling. Further irony: The "little people quote" which helped send Helmsley to prison for tax evasion originated with her housekeeper. During Trump's debate debacle, he continued aiming a sexist torrent at a former latina Miss Universe whom he had criticized and mocked as "Miss Housekeeping. In both angry conversations and casual ones, Trump referred to Machado as "Miss Piggy," "Miss Housekeeper," and "Miss Housekeeping," who should know her place and do as she was told. He said it to her face. So the Bucks new team president Peter Feigin dropped in on Madison this week - - a city economically, racially and in many other ways diametrically opposed to the bigger and genuine urban area to the east - - to opine that Milwaukee is an antiquated, racist outlier American city. Feel free to refund to the city its $47 million in subsidies we rubes are coughing up to help build your sports palace with its top-shelf amenities, ticket prices and high-profit food and drink. Turn back the assets city taxpayers have forfeited for your business pleasure, including a primo downtown parking facility/perpetual cash machine, and a closed off city street you couldn't put a price tag on. And if needed, write a check for the city's half of $80 million in reduced state aid to Milwaukee County that city taxpayers may have to cover. In fact, sign on for the full $80 mil, just to show some sincerity and to remove all the irony from the bucks supporting the Milwaukee Bucks. We can spend the money we're sacrificing for you business more directly addressing problems we know more about than do you. Thought I'd catch you up on what some of the now-cancelled NW Wisconsin GTac iron mine's folks are up to these days. The southern Seville court said Thursday that Bill Williams, former water director at the Cobre Las Cruces open pit mine, and two others, had been fined 2,700 euros ($3,000) each for mismanaging and polluting a public drinking water aquifer with arsenic from 2005 to 2008. They were also given one-year suspended prison sentences. In fact, Walker considered naming Seitz to the number two post at the DNR after the incumbent Matt Moroney, was moved to Walker's staff as a special assistant. Seitz, also formerly a lobbyist for the Koch brothers' Americans for Prosperity had spoken on the mining company's behalf at some of the now-defunct plan's highest-profile moments. “The guards are going to stay,” Seitz said. Stone helped move along the sweetheart mining bill which is still on the books though GTac, its principle beneficiary, pulled out. A defensive Donald J. Trump lashed out at the debate moderator, complained about his microphone and threatened to make Bill Clinton’s marital infidelity a campaign issue in a television appearance on Tuesday just hours after his first presidential debate with Hillary Clinton. Amazed that Trump rambled in self-praise near the end about holding back because Chelsea Clinton was in the hall from an attack he could have unleashed on Hillary Clinton. That Hillary had piled on negative ads about the way Trump had treated women, etc., and he had a counter-pinch he wanted to throw, but didn't. The general interpretation confirmed later by the man himself is that Trump wanted to rip on Bill Clinton's personal indiscretions and somehow drag Hillary into that, even blaming her. Is Bill Clinton on the ballot and debate stage? Does Trump really want to throw those stones from his glass house? And did Trump think a campaign in which he attacked and ridiculed and demeaned every one of his opponents, along with huge swaths of the population - - women Muslims, immigrants - - wouldn't produce, as all campaigns do, some point-counter point at his expense? What we're seeing is what happens when an egomaniacal CEO who is used to be praised and enabled and gets to be sole judge on a TV show where he fires people steps into a different arena in which criticism and condemnation is what it's all about. And women are allowed to play these days on an equal footing. No wonder he had a bad night. Trump is really in the wrong element if he thinks he should get a pass for things he has said and done, and I cannot imagine that even in the unchartered waters of this campaign that Trump would go that deep in the mud and believe it's a winning strategy. 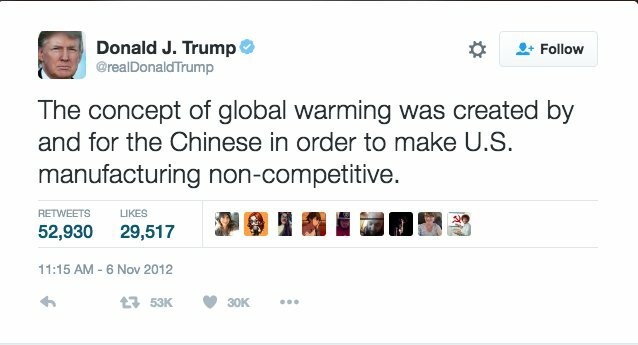 [Updated from 9/26] Glad to see that important issue of climate change made an appearance in the debate, but the way it came in didn't help Donald Trump. That's what happens when you are in over your head. It's been his constant for an hour. And he made fun of Hillary's health? A train industry, good jobs wrecked. Transit, highway spending keep Milwaukee region segregated. More high-cost road project spending on tap. Scott Walker chased train assembly and maintenance work from a hard-hit Milwaukee neighborhood and the payroll-poor state economy he continues to fail - - and Milwaukee Mayor Tom Barrett has brought that industry and its good jobs back to the city and state. The work involves work on LA rail cars. A great day for Milwaukee, its workforce and transit. These trains were built at the Talgo train works in Milwaukee shut down by Scott Walker and his jobs-killing servants in the state legislature. Worse, they killed an entire industry. On Friday, July 26 at the Eugene Amtrak station, we'll "officially" welcome the state's new 13-car passenger train sets. You're invited to the 2:30 p.m. ribbon-cutting! Get details here. [Updated from 9/25] Ten weeks ago there was massive flooding in Northwestern Wisconsin that killed three people. This week two more people died in more flooding that damaged even more counties in Western Wisconsin. Experts for years have been predicting severe rain events as a consequence of a rapidly warming climate. As warmer temperatures increase evaporation and the amount water vapor in the atmosphere rise worldwide, the air will become more saturated, increasing humidity levels year round. This means when it does rain or snow, it’s likely to be in very large amounts. All of this means Wisconsin can expect an increase in extreme heat waves and more frequent droughts in summer. At the same time, severe thunderstorms may double in frequency, increasing the amounts of damage caused by heavy rainfall, flashfloods, hail and strong tornadoes. But Wisconsin under Scott Walker, Attorney General Brad Schimel and other GOP state officials are officially hostile to climate change - - in the extreme - - and obeisant to the fossil fuel sector whose greenhouse gas emissions are also fueling the warming climate. Walker and other Wisconsin GOP officials lined up to sign a Koch brothers pledge opposing climate change initiatives if they cost one new net cent. The pledge has more that 400 signers, including Wisconsin Gov. Scott Walker, U.S. Sen. Ron Johnson, U.S. Reps. Sean Duffy, Reid Ribble and Jim Sensenbrenner, state Sens. Alberta Darling, Glenn Grothman, Mary Lazich and Leah Vukmir, and state Reps. Dale Kooyenga, Bill Kramer, Jim Ott and Don Pridemore, all Republicans. So when the deluge subsides, Walker can calm the waters temporally and pantomime some chief executive moves with hand-shaking and damage tours, and state officials can fill in all the necessary forms for assistance from the Federal Government they say on all other occasions is too big and well-heeled. But a lot of that federal aid and whatever scarce state dollars Walker can throw into the pot will literally go down the drain during the next heavy rain event until and unless the state gets serious about respecting and merging solid science with infrastructure planning and adaptation that could minimize future damage. And as we say, get with the program and stop being the State in the State of Denial. Update: Take a look at what a real state leaders is doing. Wisconsin's Republican Governor, Congressional delegation, and state legislative caucus all want the racist, sexist, egomaniacal, pathologically insecure and habitually dishonest Donald Trump to be US President, Commander-in-Chief, nominator of US Supreme Court justices, Appeals Court and District Court judges, US Ambassadors to foreign countries and the United Nations, designator of protected areas and national monuments, and the administrators of the US EPA, the CIA, Homeland Security, National Parks Service, the US Forest Service, the US Fish and Wildlife Commission, the Department of Labor, the members of the National Labor Relations Board, Secretary of State, the Consumer Protection Financial Bureau, the Secretary of the Interior, Treasury Secretary, the US Department of Agriculture, four of eight members of the US Civil Rights Commission, and numerous federal, regulatory agencies and commissions too numerous to mention, etc. But you get my drift, no? With the John Doe II probe back in the news and also at the doorstep of the US Supreme Court next month, it's rather amazing to follow a common thread linking much of Walker's career: first there is the campaign, then the investigation. He was accused of violating campaign guidelines on multiple occasions. The [Marquette] Tribune reported then that he was found guilty of illegal campaigning two weeks before his candidacy became official. Later, a Walker campaign worker was seen placing brochures under doors at the YMCA. Door-to-door campaigning was strictly prohibited. Walker initially denied this but later admitted to the violation, which resulted in lost campaign privileges at the YMCA. In the run-up to election day, the Tribune’s editorial board endorsed Walker’s opponent John Quigley, but said either candidate had the potential to serve effectively..
* That probe set the stage for another, broader investigation known as John Doe II - - a state prosecutorial effort which unearthed millions of dark money dollars routed for Walker's 2012 recall election, and others. through a secret network. The scheme, prosecutors said, also funded legislative candidacies that helped preserve Walker's GOP governing majority; the investigation was shut down by the Wisconsin Supreme Court, a move now eligible for a review by the US Supreme Court because of conflict-of-interest allegations against two Wisconsin Supreme Court Justices who shared major donors with Walker. Yes, for the record - - Walker himself has never been charged in these investigations, and has managed to stay on his feet after truthiness problems on a smaller scale have cropped up - - but all it will take is four US Supreme Court Justices accepting the Doe prosecutors' petition for a review of the state's dismissal of their investigation and Walker can be credited with shining the brightest national light possible on shady money and campaign tactics. Given that the State of Wisconsin under Scott Walker which is in thrall to the road-builders a) has no comprehensive transportation plan statewide except a billion-dollar debt-laden highway expansion program, b) has no financing plan to pay for highway expansion and/or repairs to what we already have c) has boosted fatality-inducing speed limits despite warnings from experts, d) has allowed the roads and bridges to deteriorate to fourth-worst in the nation, e) already killed off regional transit authorities, f) is starving transit and cutting urban bus connections to suburban jobs...it makes perfect sense in that rudderless, policy-free special-interest driven scenario that Wisconsin is considering giving licenses to new drivers without requiring them to take a road test. the additional motorists headed for far-from-the-city-jobs without a transit connection through orange-barrel zones, lane-changes, zipper merges and onduced congestion artificially extended for extra years because Walker and the Legislature needed to push out construction schedules in the face of falling demand from car-averse millennial and retirees who choose to no longer drive.